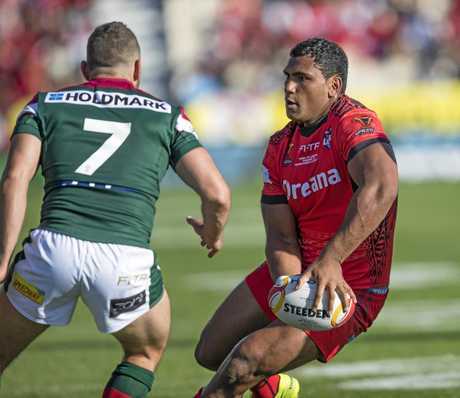 TEVITA Pangai Junior has played just 34 NRL matches. And of those, all but his two run-on appearances to start this season have been from the Broncos' interchange bench. Yet, according to those gullible members of the 'a melodrama is needed every day' NRL media, overnight the 22-year-old is a $500,000-a-year player and an Origin prospect for New South Wales. 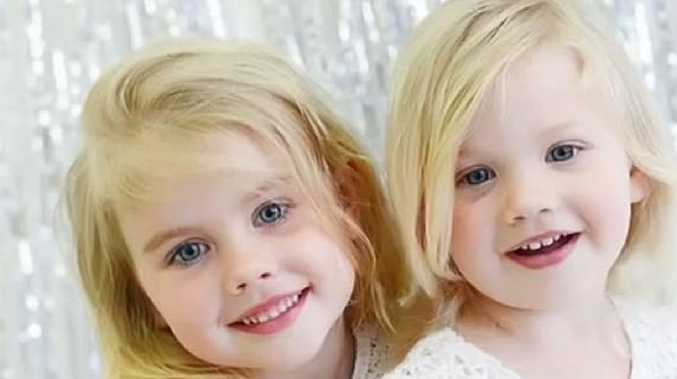 But thankfully Pangai Jnr is a little more realistic and a lot more genuine. 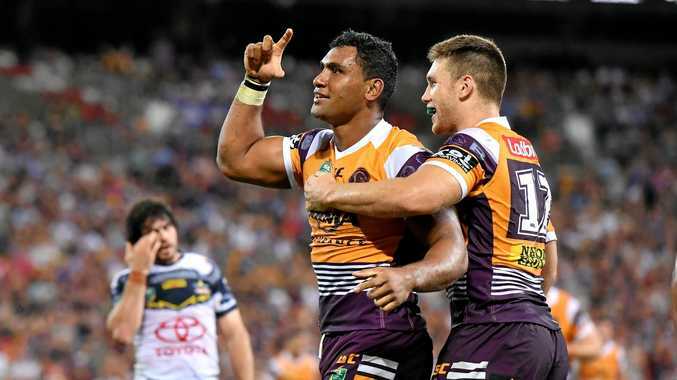 As the predictable hype about the youngster kicked in following his man-of-the-match performance against the Cowboys last Friday, Pangai Jnr has summarily dismissed both his inflated price tag and the State of Origin assumption. Firstly, he has informed NSW coach Brad Fittler that he will not be a candidate for the Blues this year, or any other year during his likely long career. And he did that just after Christmas, and not last week as some sections of the media have indicated. Unlike fellow Tongan prop Andrew Fifita - who is still undecided about where his rep loyalties lie - Pangai Jnr is dedicated to continuing to represent the country of his dad's origin, not the Australian state in which he was born. And, in a huge boost for the international game, the esteemed Jason Taumololo is likely to follow his lead. 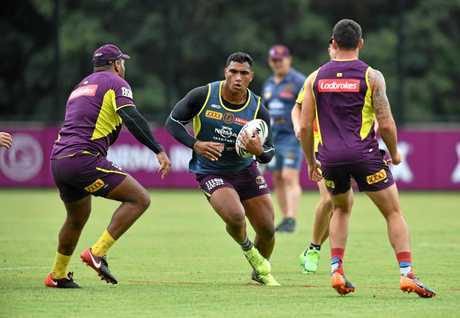 The second brave commitment made by Pangai Jnr since he came into recent prominence was to announce his want to be a Broncos player for life. And he made that call on national TV last Friday night after his tackle had saved the Broncos from almost-certain defeat. That may well have been a euphoria-charged declaration, but it was no doubt his way of saying thanks to coach Wayne Bennett for bringing out the best in a burgeoning talent who once weighed almost as much as two men. It was also a message from a young man that a successful career, and not the almighty dollar, was his major goal. 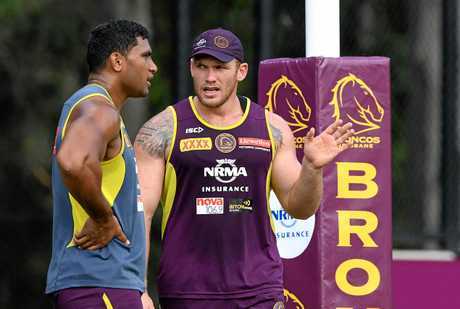 Like Michael De Vere did more than 20 years ago, Pangai Jnr made the approach to Bennett seeking a move to the Broncos from Canberra. Apart from saying yes, the coach has meticulously developed the young prop, blooding him from the interchange bench in his 32 NRL appearances during the past two seasons. So, despite all the hype about which clubs might still have money in their salary cap and where the future may lie for a youngster who looks for all money like a future star, Pangai Jnr has shown that he is a very different beast among today's 'show me the money' player brigade. To him loyalty - to club and country - is his priority. But after just two NRL starts, one in which he and his fellow Broncos had their bums smacked, the road ahead in a potentially glittering career will be lined with potholes. And the first of those will be on Friday night against the unbeaten Tigers where he faces the ferocity of Kiwi Test props Ben Matulino and Russell Packer. Fail, and no doubt the knives will be sharpened.